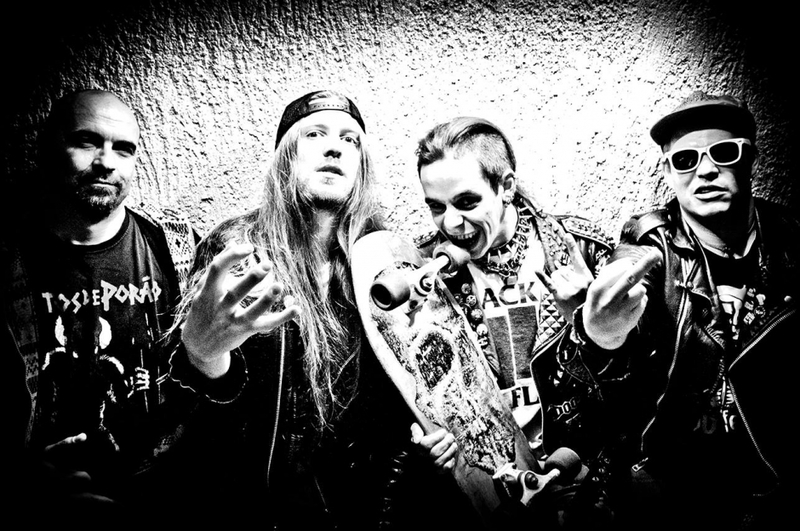 BLIND RATTVISA is Slovakian crossover-thrash band formed in May 2009 in Bratislava. First song which was recorded in 2009 is "Oni a My". This song released on LP compilation “SLOVENSKÉ VINYLY NEZOMIERAJÚ“ in this same year. Later band also participated in the world LP compilation "TOO SHORT TO HANDLE #3". A band has since passed through different phases personal changes. In 2014 released first official record with name "Bury Your Stupid Days" on CD and in 2016 like as LP version. After personal changes in 2012 a band acts further west from Bratislava in small town Malacky. In their early days, a band is heading in crust style however in above year 2012 the direction has changed rapidly to more technical style to mark the band as thrash-crossover.